Days before they are enshrined in Hockey Hall of Fame, four former NHLPA members, along with their fellow 2015 inductees, will be recognized for their accomplishments and contributions to the sport at the annual Hockey Hall of Fame Game, on November 6 in Toronto. Prior to the puck drop between the Toronto Maple Leafs and Detroit Red Wings, former NHL stars Sergei Fedorov, Phil Housley, Nicklas Lidstrom and Chris Pronger will be feted at the Air Canada Centre. Women’s hockey standout Angela Ruggiero, along with Bill Hay and Peter Karmanos Jr. (Builder Category), will also be on-hand for the ceremonies. Induction Weekend festivities run from Friday, November 6 through Sunday, November 8, highlighted by the Induction Gala Celebration, set for Monday, November 9. Widely regarded as one of the best blueliners to ever play the game, Swedish sensation Lidstrom won seven Norris Trophies as the NHL's top defenceman and four Stanley Cups with the Detroit Red Wings. Over his outstanding 20-year NHL career, all as a member of Detroit, he skated in 1,564 games and recorded 1,142 points. He holds the distinction of being the first player born and trained in Europe to win the Conn Smythe Trophy (2002), and the first to captain a Stanley Cup champion (2008). A member of the prestigious Triple Gold Club, Lidstrom won gold playing for Sweden at the World Championship in 1991 and at the 2006 Turin Olympics. He wore the colours of his country four times at the Olympics. He played 18 NHL campaigns, scoring 483 goals, accompanied by 1,179 points in 1,248 career games. In 183 playoff contests, Fedorov notched 176 points. Prior to his NHL life, Fedorov played a prominent role in helping Russia win the 1989 World Junior Championships and the 1989 and 1990 World Championships. He also helped the Russians strike gold at the 2008 World Championships and played for them on three occasions at the Olympics. He was the recipient of the Hart Trophy and the NHLPA’s Ted Lindsay Award in 1994 and received the Selke Trophy in 1994 and 1996. A hard-hitting defenceman who made his mark at both ends of the rink, Pronger skated in 18 NHL campaigns and in 1,167 career games. He was the only defenceman other than the legendary Bobby Orr to receive the Hart Trophy and Norris Trophy in the same season (2000). The blueliner is also a recognized member of the Triple Gold Club. He struck gold with Team Canada at the 1997 World Championships, won Olympic gold twice and hoisted the Stanley Cup with Anaheim in 2007. Other highlights include winning gold at the 1993 World Junior Championships. A smooth-skating defenceman, Housley netted 1,232 points in 1,495 career NHL games, playing 21 seasons between eight teams. He is fourth on the list for most points in NHL history by defencemen. He recorded at least 60 points in a season on 12 occasions. Housley suited up with the United States squad at the 2002 Winter Olympics, earning a silver medal, and two appearances in the Canada Cup. Housley also appeared in the NHL All-Star Game seven times. He is the second-leading scorer among American-born players behind fellow Hall of Famer Mike Modano. 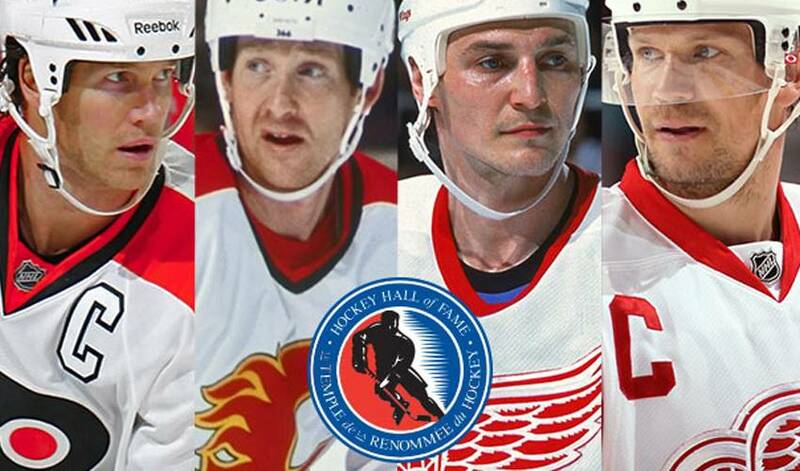 The NHLPA salutes the Hall of Fame class of 2015.